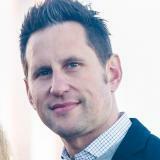 Brett is the VP of Sales for Controlant, a groundbreaking, cloud based, real-time, cold-chain optimization platform. Brett has over 20 years working across the biopharma and medical supply-chain. As the founder of both RAMP Advisors, and Groundswell Health, Brett has extensive experience bringing novel innovations to market, and previously served in a variety leadership roles with leading organizations such as: PSS World Medical (acquired by McKesson), Johnson and Johnson, athenahealth, Luminex Corporation, and Cholestech Corporation (acquired by Alere). Brett is based in San Francisco.